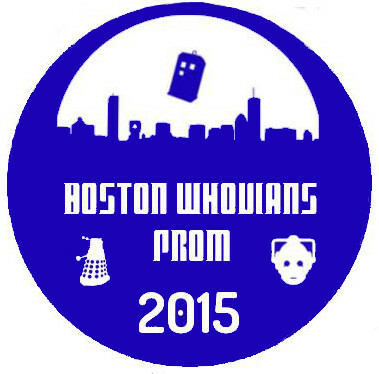 Commemorative pin from Whovian Prom 2015. Couldn’t make it to Whovian Prom 2015 but still want to commemorate the occasion? Add this awesome pin to your collection and have a little bit of Boston Whovians history on your bag or jacket or wherever you put pins! If you did go to Prom and haven’t given us your address to get a your free pin, go do it now! Email the admins or contact one of us on Facebook.